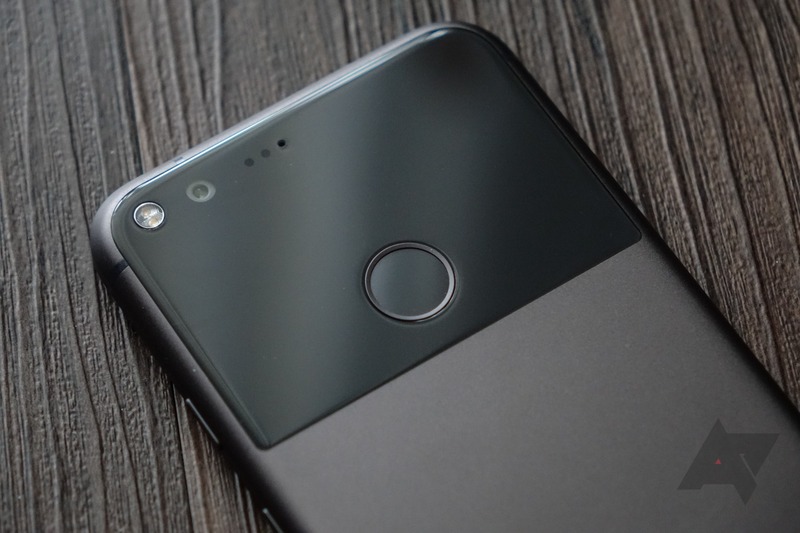 Swiping down on the fingerprint scanner to show notifications came as a gesture with the Pixels last year and resulted in a lot of drama before it was enabled for Nexus 5X and 6P phones in Android 7.1.2. With Android Oreo 8.0, the fingerprint scanner gesture API was opened up to developers so they could make their own apps with it. And today's app is built on that. DigiLux uses the fingerprint swipe gesture to lower or raise your display's brightness. Before you start using it, you will need to allow it to modify system settings and turn on its accessibility service. 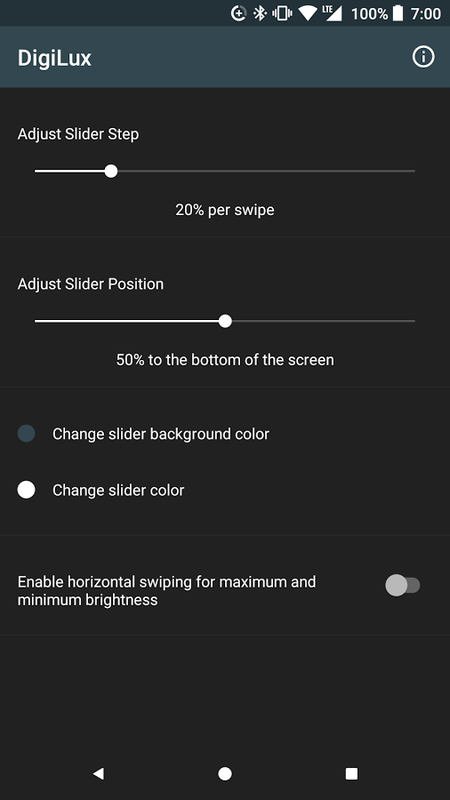 Once that's done, the app's interface is one simple screen where you can choose the percentage increments that each swipe causes, the position of the brightness slider that gets triggered, its colors, and toggle whether or not a swipe left/right would go to maximum or minimum brightness. I tested DigiLux on my Nexus 5X running Oreo 8.0 and found it works as intended. 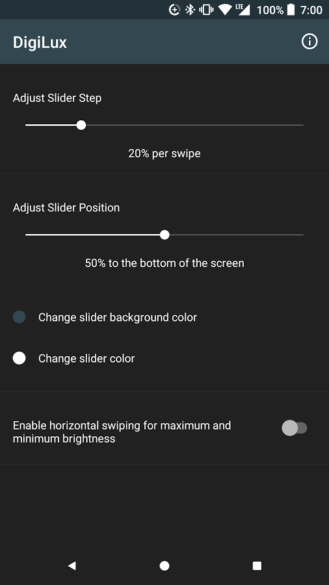 Swipe down in any app and the brightness lowers by 20%, swipe up and it goes up by 20%. I can incrementally increase it or decrease it or simply swipe left/right to go minimum/maximum, respectively. It should come in very handy when I'm outside and the brightness is too low against the sun or when it's night time and my phone's display is still eye-searing. DigiLux is free with a small banner of ads at the bottom. 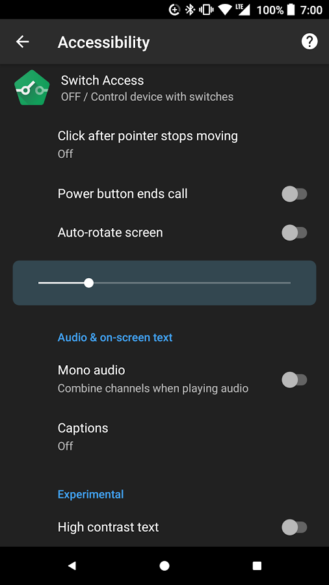 It works on Android Oreo 8.0 devices (API level 26) and above, so you can try it on your Nexus 5X, 6P, Pixel, Pixel XL, and custom ROM devices. But keep in mind that enabling it will disable the drop-down notification gesture on the fingerprint scanner. You win some, lose some. Oh and it has a cute description on the Play Store, make sure you read that.